Feelings can be deceiving, and so can the word “tight.” Every day, many people all over the world get on the floor or on their feet and stretch their “tight” hamstrings. Interestingly, those same hamstrings are still “tight” after days, months and years of stretching them. Hmm? If stretching them were actually doing something, shouldn’t they be “untightened” by now? You’d think so, wouldn’t you? With some fairly uncommon exceptions, on most people, the hamstrings are not “tight” in the sense that they are actually stiff or in a shortened position, needing to be stretched. They are actually being pulled TAUT because they are stuck in a lengthened position, due to the pelvis being tilted forward (anterior tilt). They are in a constant state of being OVERSTRETCHED. In this oh so common situation, what do you think the continued stretching of these already overstretched hamstrings leads to? You guessed it! An even worse position of the pelvis and even “tighter” hamstrings. 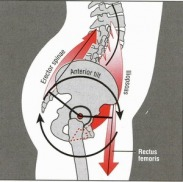 Are there some people out there who have hamstrings that are actually stiffened and/or shortened up and are actually “tight.” Sure, some people have a pelvis that is tilted the opposite way, with hamstrings that are being shortened; however, in my experience, about 9 out of 10 people come in with a forward tilted pelvis and hamstrings that are weak and long. The muscles on the front of the pelvis, the hip flexors, are usually the suspects that actually should be stretched, or at least inhibited (shut off), since they are often shortened and amped up from sitting all day. These hip flexors pull the pelvis forward, effectively putting the hamstrings in a tough to deal with position on the back side. To add fuel to the fire, the ever so important glute muscles cannot effectively do their job in this faulty position, which leads to even more problems for the hamstrings. Not only are they locked in an overlengthened position, but now they also have to do extra work since the glutes are out of the picture. The brain engages them even more (or at least attempts to; we actually need to get better at engaging them in a correct manner) to make up for the glutes’ lack of contribution to the group project. No wonder they’re so “tight” and angry. If you can think of a time that you did most of the work in a group project, I bet you can relate with how pissed off you probably were. So what do we need to do to address the situation? We need to get hip flexors to chill out a little bit and get the hamstrings to actually shorten up and engage more effectively, tilting the pelvis back to neutral. There are other muscles and factors at play here as well and if you throw in the possibilities of rotation, shifts and any other side to side differences, we have plenty more to talk about, but to keep the concept simple and straight forward, we will focus on the hip flexors and hamstrings for now. 90/90 Breathing– Set up in a 90/90 position as shown and be sure your low back is solid against the floor. To do this, think about pulling down through your heels on the wall as you engage your hamstrings, effectively tilting your pelvis back under you. This action and this position lines our pelvis and ribs up over one another so that our hamstrings as well as our diaphragm are in an better position to work ideally. Inhaling through our nose while getting three dimensional expansion around our abdomen and chest, followed with a full exhale through our mouth, driving our ribs down, back and in, will help to solidify a better rib and pelvic position, as well as reset our nervous systems, in order to allow us to create new positions and muscle firing patterns. 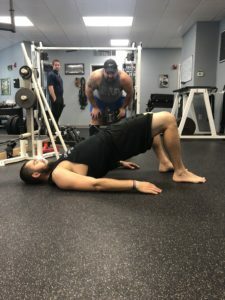 The Hip Flexor Stretch- Many times, taking care of the rib and pelvic positions with the breathing drill above will eliminate the need for this drill; however, it can still be very useful if you do have a true stiffness or shortness in your hip flexor muscles, especially if you sit a lot all day. Set up in a 90/90 position as shown in the picture. Simply place your back foot on a box, chair, etc. to increase the pull. 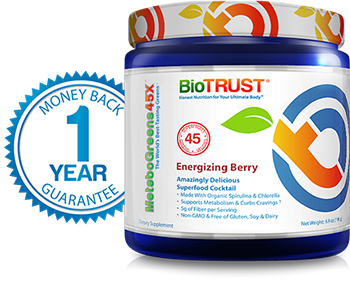 Be sure to keep your thigh and trunk in a straight line to avoid putting unwanted stress on your low back and front of your hip. Squeeze the glute of your down leg and brace your abs (harden up like you’re going to get punched in the stomach) to create the opening of the front of your hip that you are looking for. This will help to pull the pelvis back in position, get the hip flexors to open up and let go, while allowing the glute to be in a better scenario to do its job with the follow up glute bridge exercise shown next. 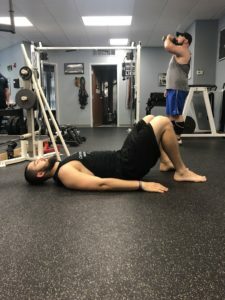 The Glute Bridge– Lay on the floor as shown below: Think about “pinching pennies between your cheeks” as you squeeze and engage your glute muscles before you leave the floor. We need to activate them and wake them up before we intiate the movement, or the hamstrings and/or low back will take over the bridge. Once we have them engaged, we are going to lift our hips up until we have a straight line between the hips and trunk, as shown in the bottom picture. 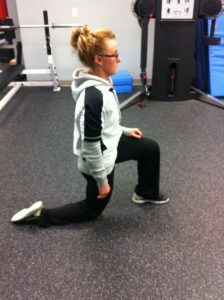 We are at hip lockout and are glutes should be contracting nicely. Lower back to the floor under control and repeat the process. Shoot for 8 to 10 reps without your hamstrings or back doing too much. It this is not possible for you right now, you may need to start with your feet elevated on a box to make the exercise easier. Other regressions are possible if necessary. Stay tuned for a follow up article about glute bridge progressions and modifications. Ditch the stretching, give these exercises a try and watch your hamstring tension melt away!